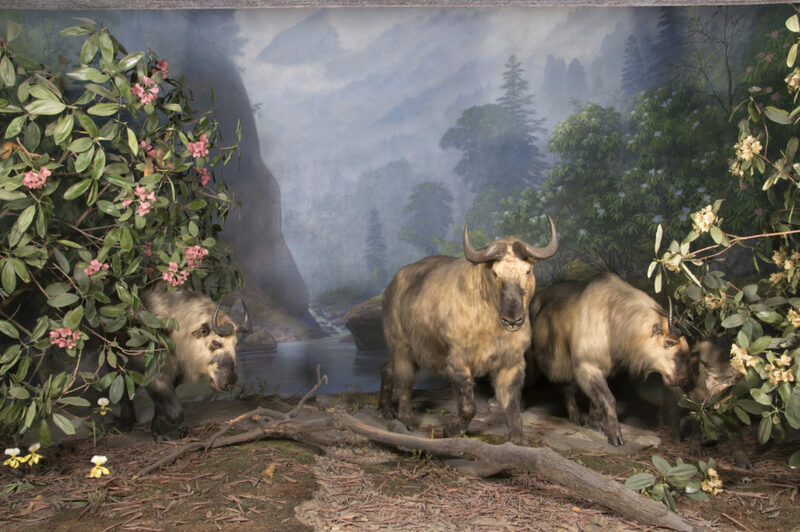 Seven months after the first thorough renovation of two of the Academy’s oldest and most dramatic dioramas, the takin and gorilla scenes will be resealed today. You may have seen these masterpieces on a previous visit to the museum—but you haven’t seen them like this. The last time they looked this good was the 1930s! 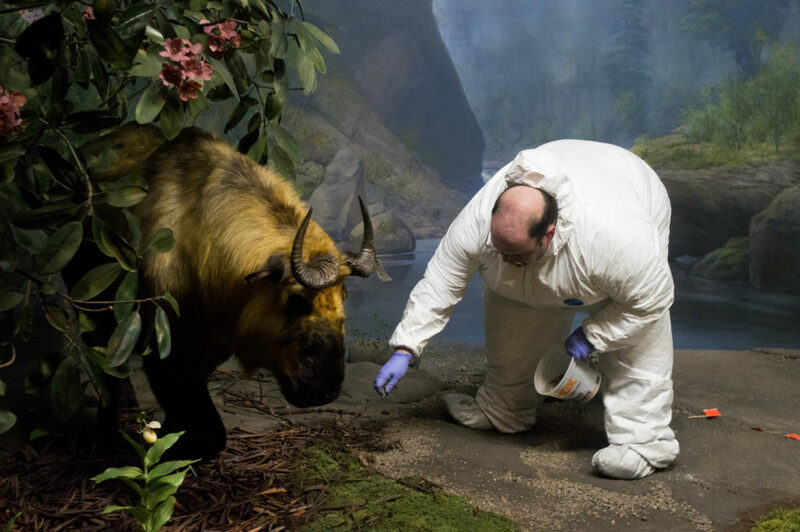 “We took this opportunity to examine the scientific importance of the dioramas,” said Senior Exhibits Director Jennifer Sontchi. “They are beautiful artworks, but they also tell a bigger environmental story. 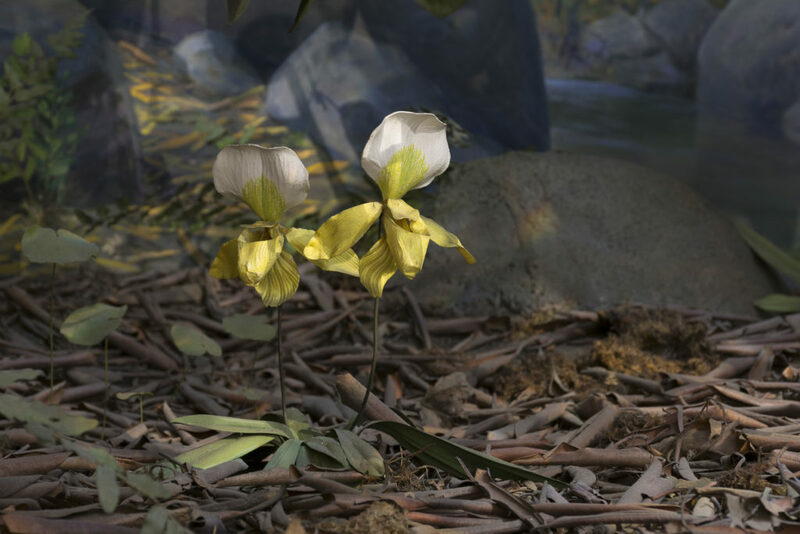 They depict living ecosystems that are in danger of disruption due to human activities. “We hope visitors will come away with a better understanding of the wonderful places of the natural world, and hopefully, a new sense of agency to protect them,” Sontchi said. Still to come are new labels for both dioramas, including videos that invite visitors to explore more about the featured animals, plants and ecosystems depicted. 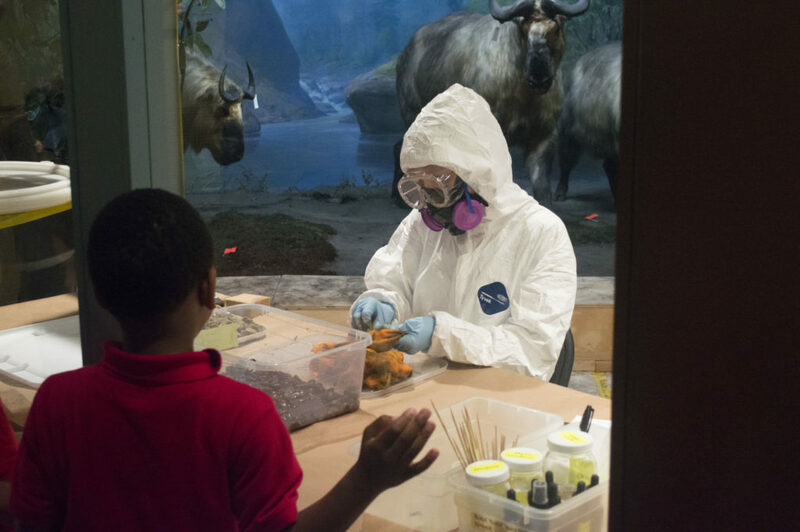 Visitors like this schoolchild could see the conservators and technicians working inside the diorama space throughout the renovation process. The takins in the background looked over the shoulder of this one. In this second of a two-part post, we highlight a few details showing before and after images for comparison. 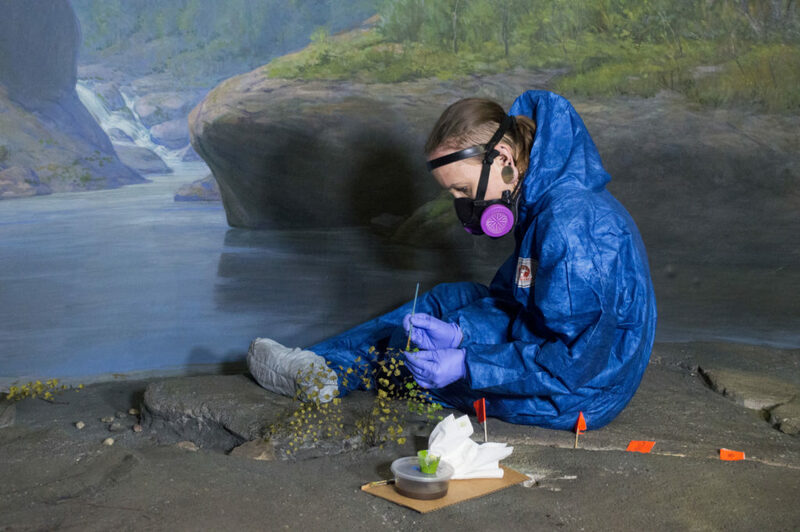 To learn about the gorilla diorama process, see Dioramas Revealed, Part 1. 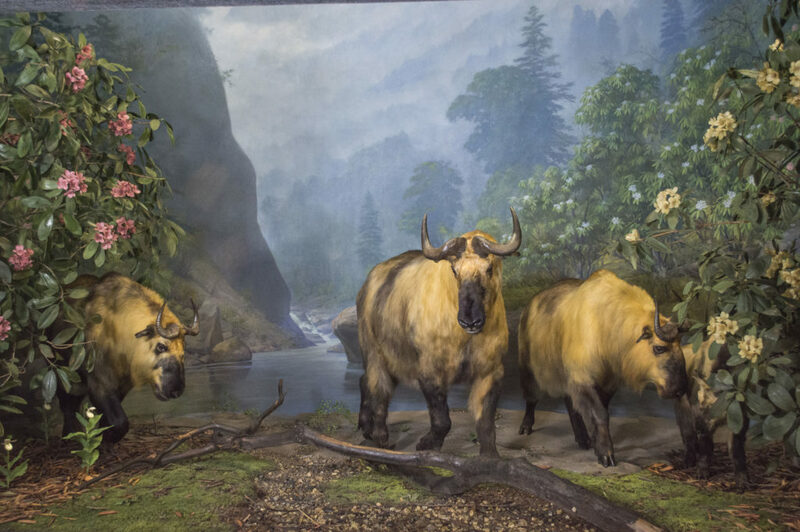 The takin (rhymes with rockin’) diorama opened in 1935 with animals and plants collected by the Dolan West China Expedition, 1931-32, to the base of the Himalayas, along the Tibetan/Chinese border. 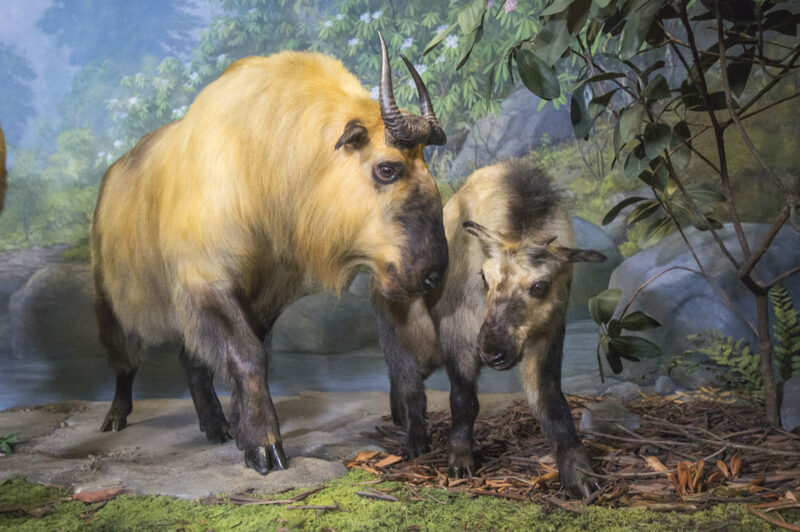 Takins are goat-antelope-like plant eaters. Their conservation status is “threatened” largely due to habitat loss, climate change, disturbance from tourism, hunting and disease. The renovation was funded by a generous gift by the E. Rhodes and Leona B. Carpenter Foundation. Shadows emerge on the riverbank, rocks reflect in the rippled river. Evergreen trees chase the fog up the mountain. The thorough cleaning of the background painting also brings out the foreground where fresh green moss (it’s alive!) and sticks and stones enliven the path of the takins. Once their long manes were cleaned hair by hair to remove the soot and then recolored, their true golden hue emerged. This mom is a natural blond. “They were very dirty. Now they’re brighter, much more vibrant,” said taxidermist George Dante, who led the renovation project. 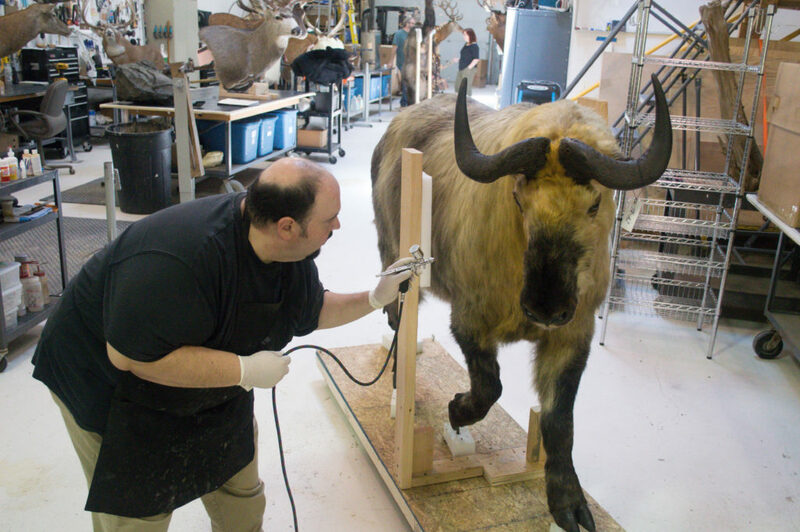 Dante, of Wildlife Preservations, moved the takins to his studio in New Jersey to give them the treatment. No, he’s not feeding the takins. Dust wasn’t the only issue in the dioramas. 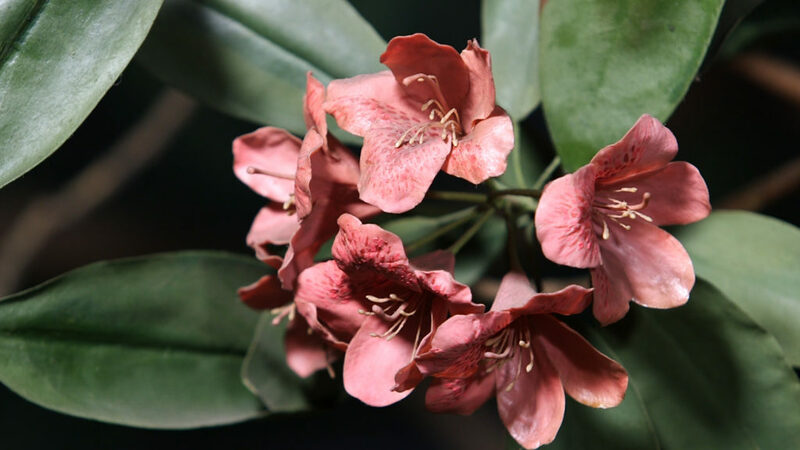 The coating on these delicate, wax rhododendron flowers turned yellow over time. 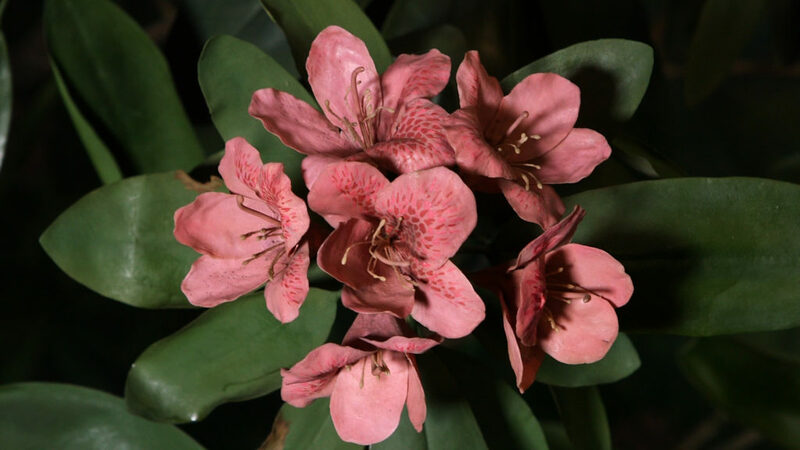 To remove the coating, Exhibition Designer Lauren Duguid carefully swabbed each flower with a cotton-tipped skewer dipped in acetone. “Reattaching broken petals was like a cross between surgery and a jigsaw puzzle,” Duguid said. “I had to find the right petal by matching up the break lines, create tiny butterfly bandages on the back with tissue paper and adhesive film, and then activate the adhesive using a heat tool.” Whatever that all means. 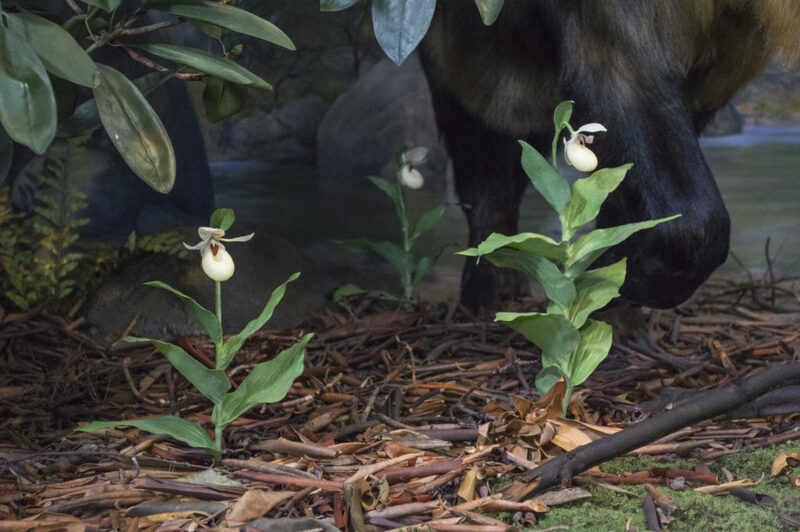 The lady slipper orchids in the original scene were probably modeled after a North American species in the same genus, so not the flower that you’d find in that region of the world. We had these lovely ladies made and the takin enjoying the aroma surely can tell the difference. It was no picnic at the beach for Duguid, even though the scenery is splendid. All the workers who labored in the dioramas were required to wear protective clothing to seal out harmful toxins and decades of dust. The faded silk fern at the water’s edge had seen better days. With a little paint and a lot of concentration, it went from a dull brown to a vibrant, lifelike green. Now come to the Academy to see these splendid dioramas for yourself. You can purchase discounted admission tickets online at ansp.org. Photos by John Hutelmyer. Text by Carolyn Belardo with Lauren Duguid.